Sheep | Loch Lomond Livestock Ltd.
Sheep have been a long-standing fixture on the farm. John purchased his first purebred Suffolk ewes in the 1970s and maintained a primarily Suffolk flock until the late 1980s. In 1991, John and Sandra purchased 5 commercial ewes for Brooke for her 5th birthday. This flock of 5 slowly grew to a flock of about 70 ewes. The sale of lambs was used to pay for Brooke’s university education. 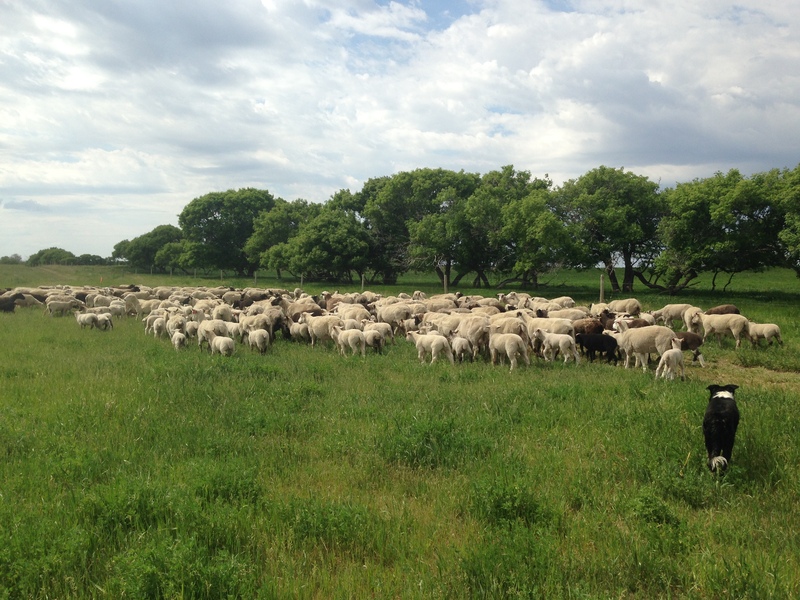 When Brooke left the farm to go to the University of Saskatchewan, lambing was shifted from March/April to May and flock growth was slowed to better suit the available labour. When Brooke returned to the farm in 2011, we once again entered into expansion mode. We brought in about 70 ewes and retained about 75 ewe lambs to bring the flock numbers above 200 head. When lamb prices dropped in 2012 and 2013, we opted to keep extra ewe lambs instead of selling the low priced lambs, pushing the ewe numbers up to about 400. This allowed us to capitalize on the higher lamb prices in 2014 and 2015. Brooke’s flock began with white-faced crossbred ewes. After trying a few different breeds, a Dorper ram was introduced. We raised mainly Dorset and Dorper crosses for about 12 years, along with some East Friesian and Romanov genetics to improve the prolificacy. In 2009, we brought in a Clun Forest ram to breed to ewe lambs because of their ease of lambing. The Clun Forest ewes have also proved to be excellent mothers and compliment the other breeds on the farm well. In order to improve the uniformity of the flock, and because of buyers preferences, we have gone away from using Dorper rams. This has also improved the fleece quality of the flock, and now the majority of our ewes are a cross of Dorset and Clun Forest. 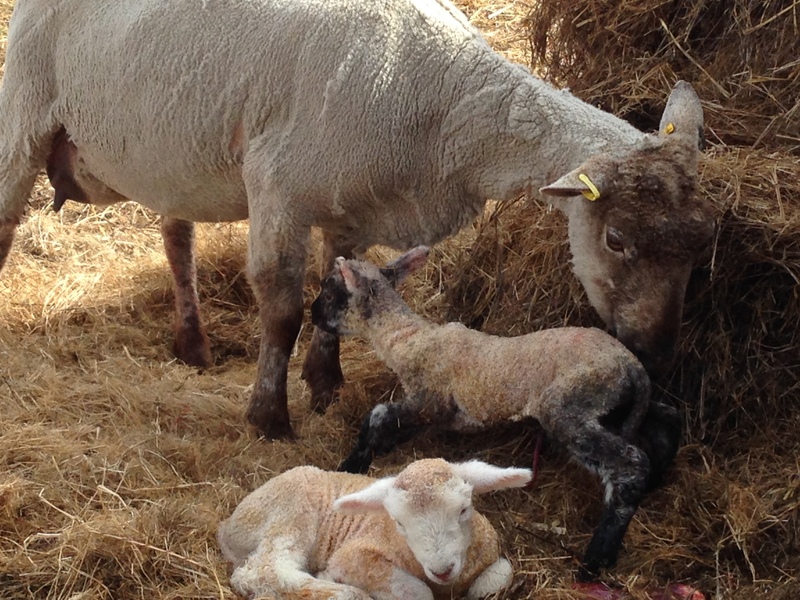 Lambing takes place in May and is a very busy time with up to 65 lambs being born in any one day. In 2015 we had over 590 lambs born to about 340 ewes in 18 days. 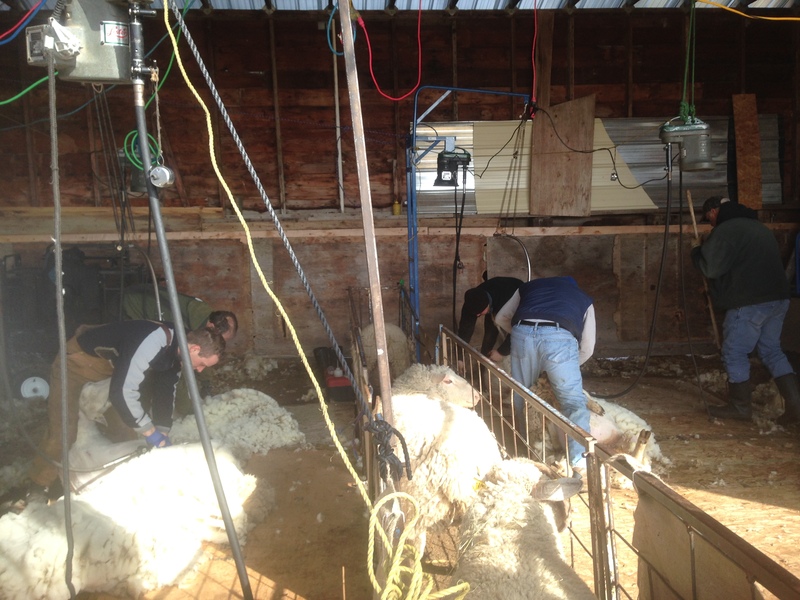 Lambs are born on pasture, but we have a barn that is used for anything that needs some assistance. Lambs are tagged, castrated and have their tails docked in the first few days of age. Ewes and lambs are moved out to new pasture as soon as the grass allows. Rotational grazing is used throughout the grazing season and the flock is usually moved to a new pasture anywhere from every few days to few weeks. Lambs are weaned in September and most are sold off the farm where they go into a feedlot. We always keep some lambs so that we have some butcher lambs available for sale off the farm for most of the year, as well as keeping ewe lambs to replace ewes that have been sold. 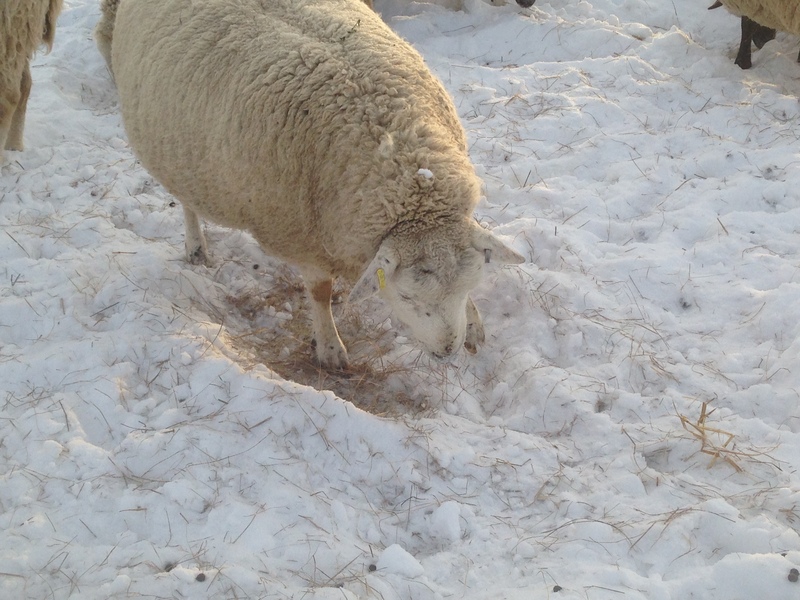 The ewes, similar to the cows, are kept out in the pasture as long as the weather allows. They are fed hay throughout the winter, but are also very efficient grazers in the winter as they will paw through the snow to find grass and unless it is quite cold they will also eat snow as their water source. Ewes are shorn each spring a few weeks before lambing is due to start. A shearing crew of 4 or 5 come and shear all the sheep in one day. The wool is packed into bags which are then sold.